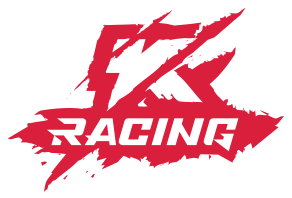 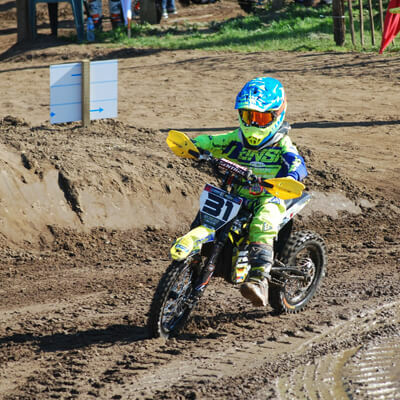 Kuberg Racing is proud to introduce our talented team of professional motocross racers. 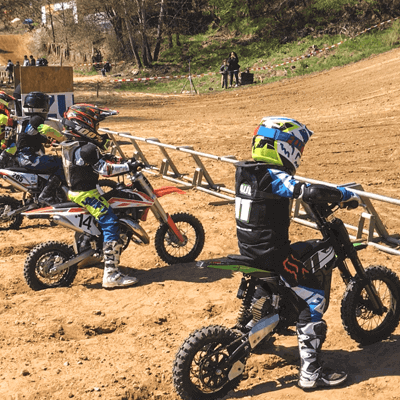 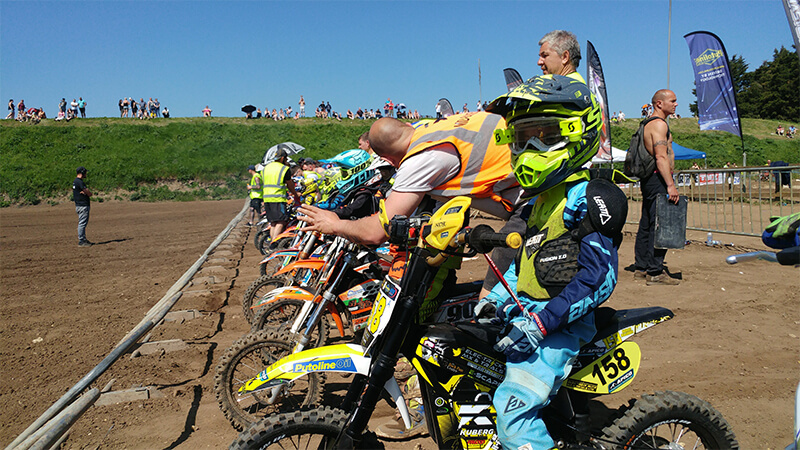 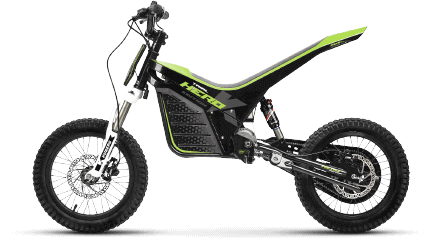 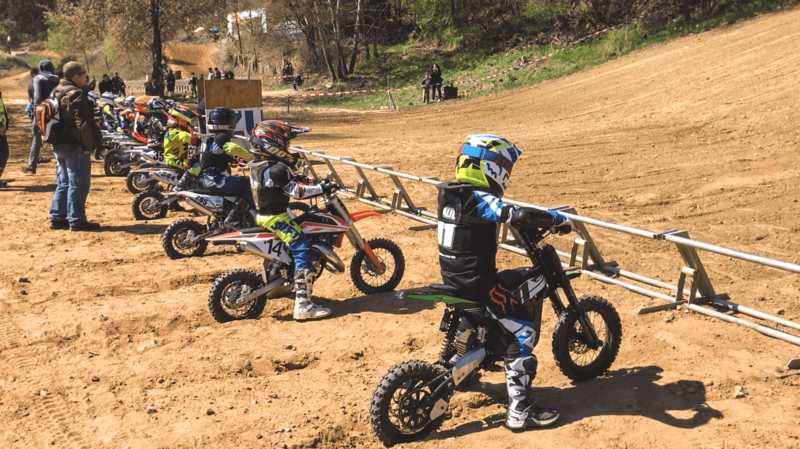 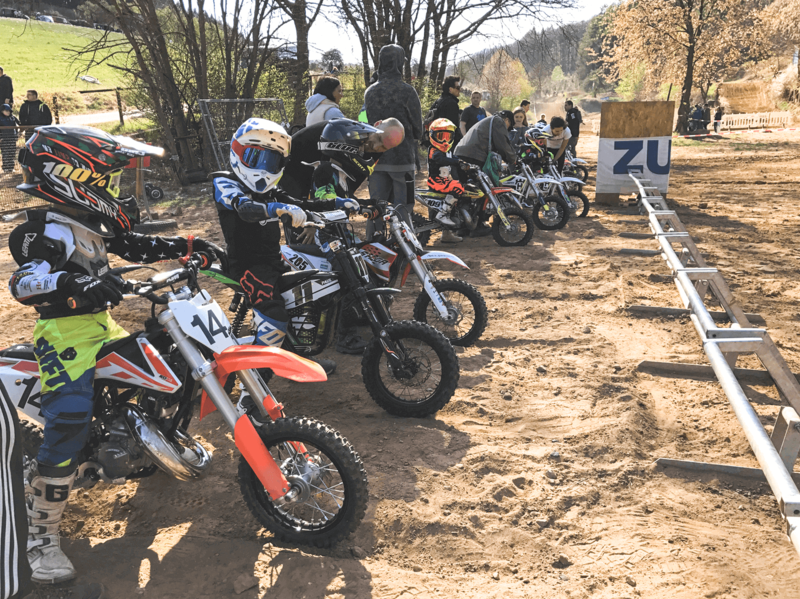 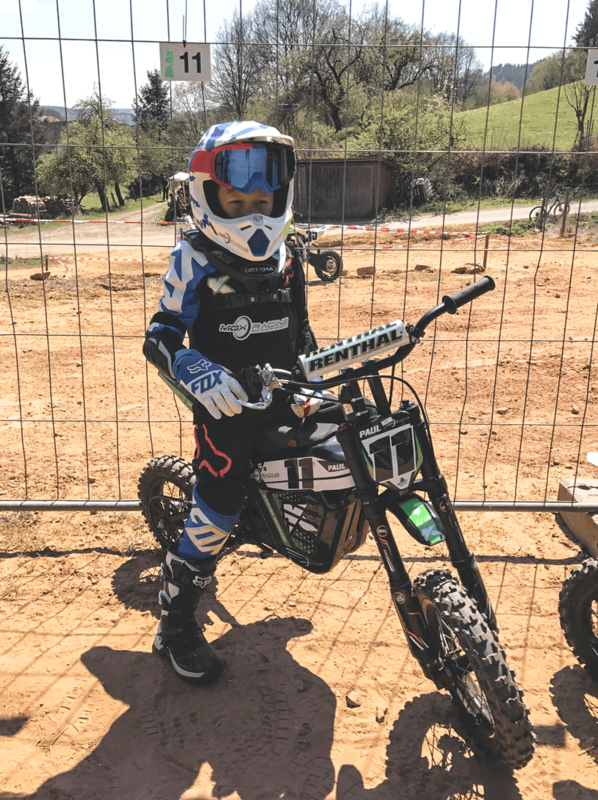 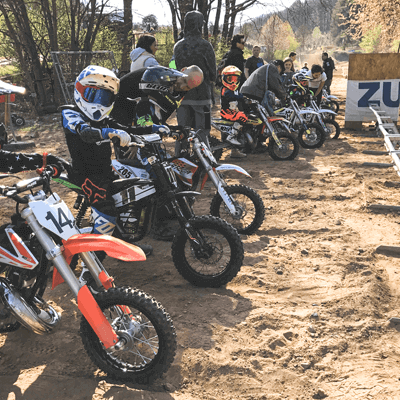 These young riders are pioneers in the world of motocross racing, battling the 50cc class bikes with electric power and innovation. 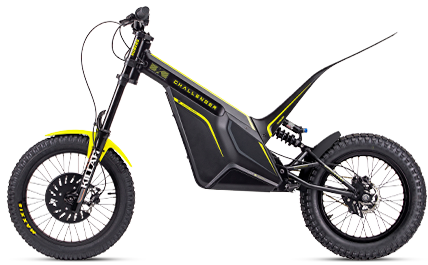 Paul Opolka was the very first rider in Germany to be licensed to compete on an electric bike. 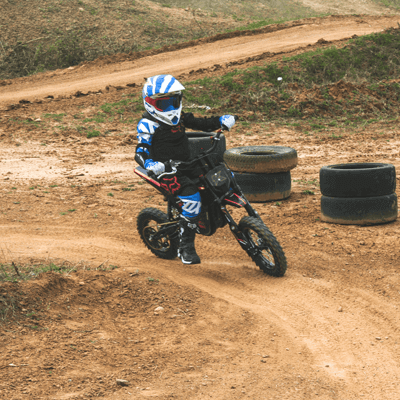 His passion for motocross started early at the age of 2. 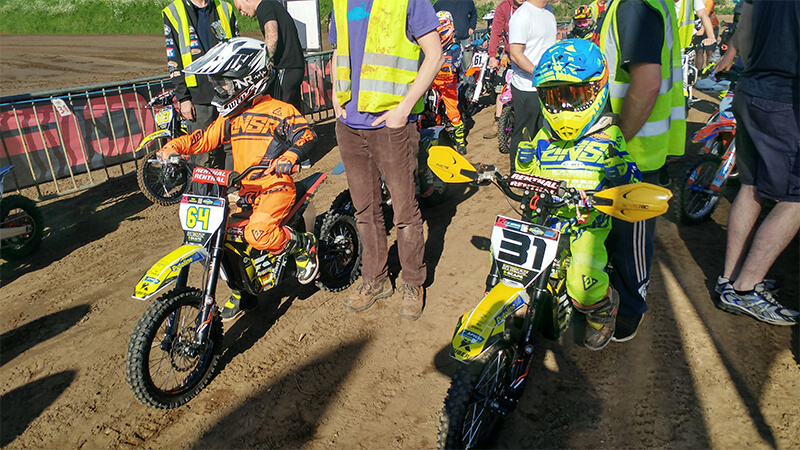 Growing up about a mile away from a motocross track, Paul spent every spare minute there watching the action. 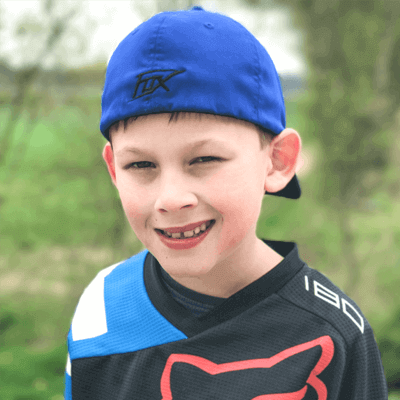 At age 5, he got his first MX bike and learned to ride before moving on to the Kuberg X-Force Pro50 the following year. 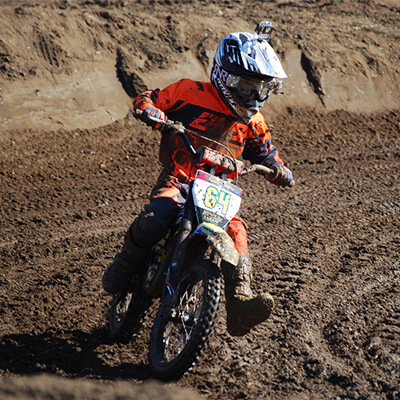 His hero is German supercross champion, Ken Roczen, who grew up near to his grandparents’ house. 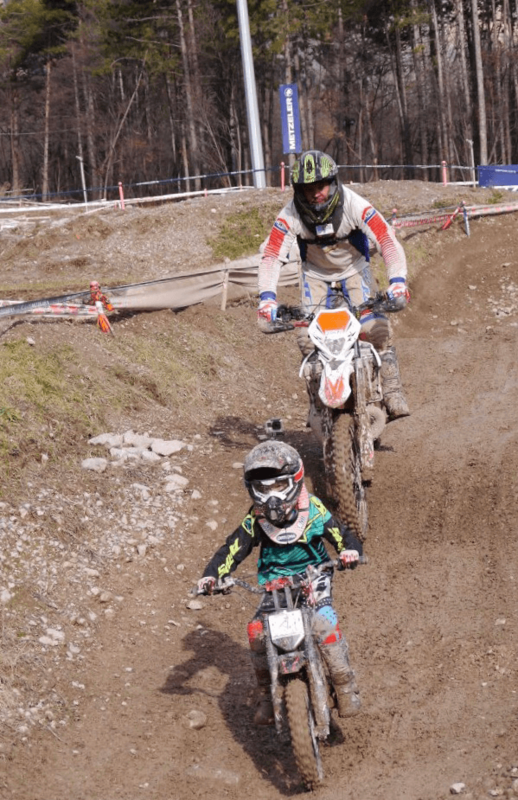 Whenever Paul visits them, he takes the opportunity to train on Roczen’s motocross track in Apolda. 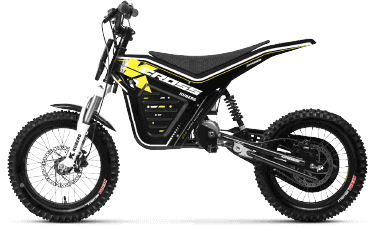 Paul’s dream is it to meet Roczen in person and to show him his electric bike. 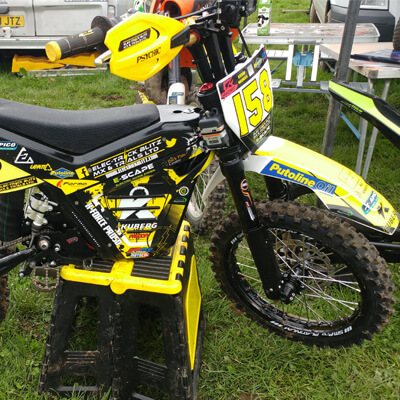 Paul is looking to shake up the German racing scene this year on his Kuberg X-Force Pro50. 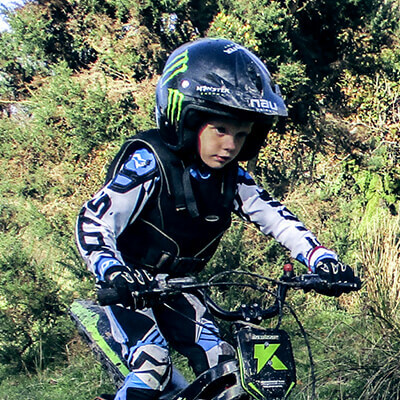 Although Leon is only 6 years old, he’s already been racing for 2 years. 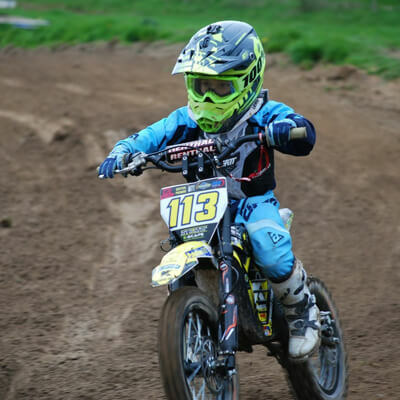 At age 5, he won his first Cornish Oset Cup. 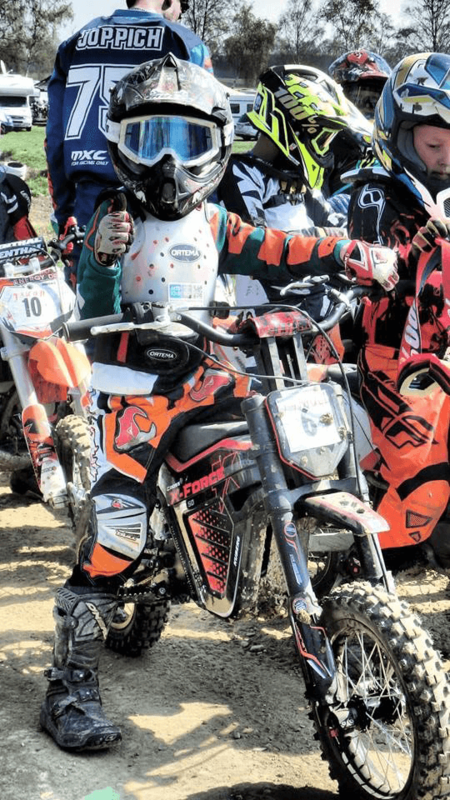 He has held the title since, competing on the Kuberg Trial E Hero to capture his second championship. 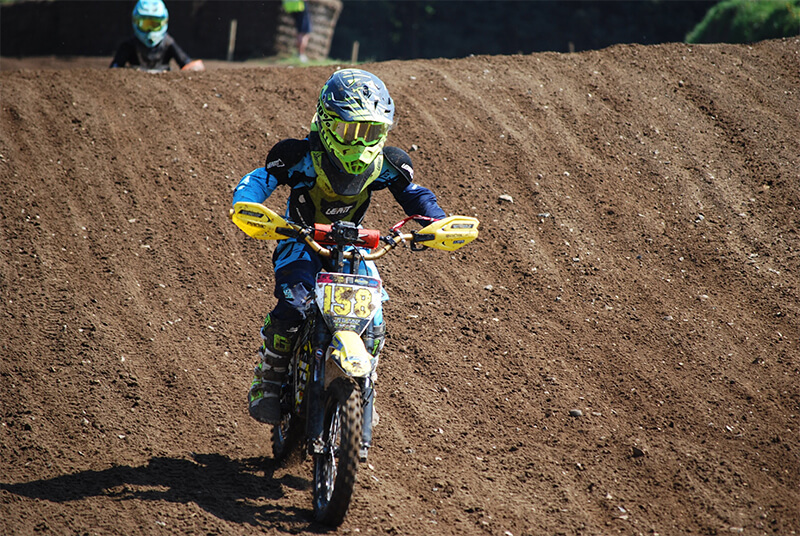 In 2017, Leon had some terrific results, finishing 4th in the Youth D South West Trials Championship and finished runner-up in the Welsh Championship. 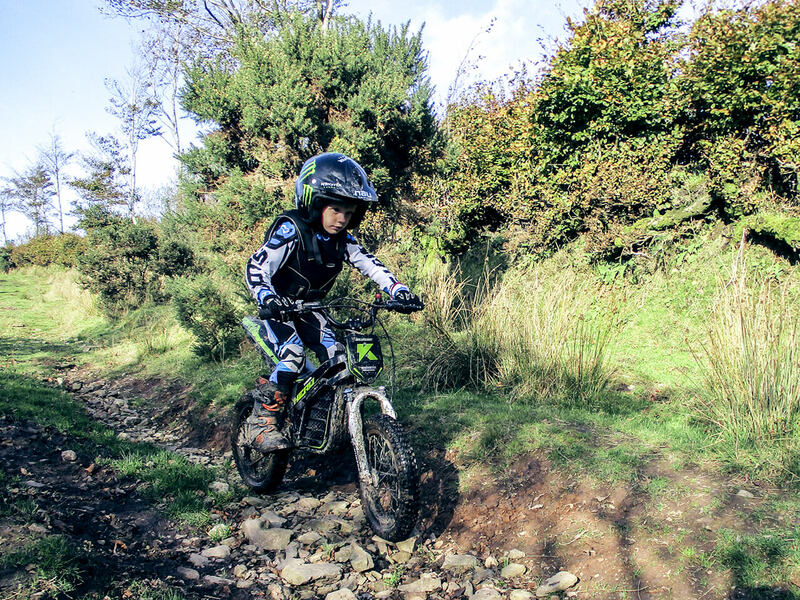 He’s been competing on tough courses that even adults struggle with. 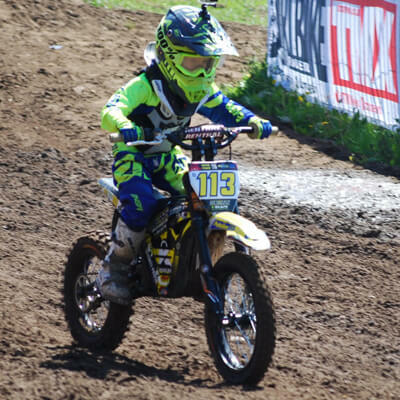 He plans on competing in more Youth D rounds in 2018. 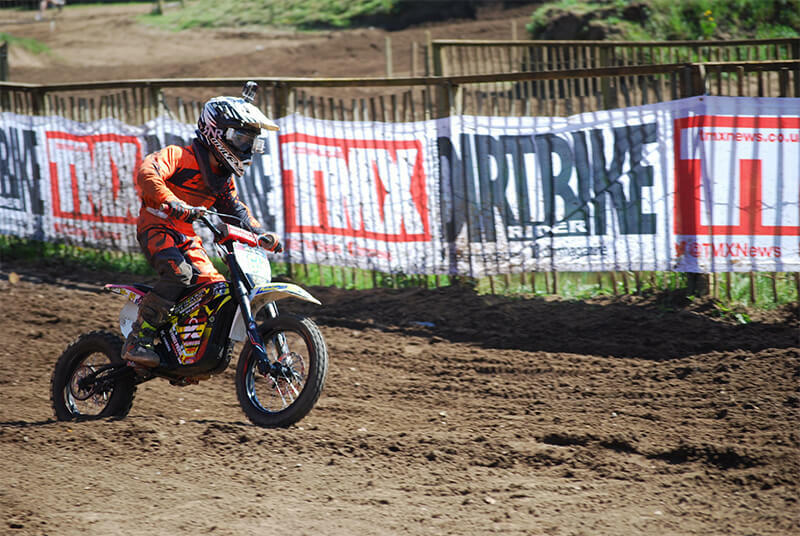 Leon also competed at the GP World Trials held in Tong, where he came in 3rd place. 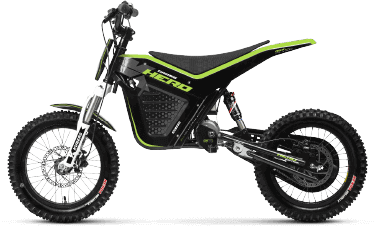 Young Thomas has his sights set on the prize in 2018, as he looks forward to setting the world on fire with his new Kuberg Trial E Hero. 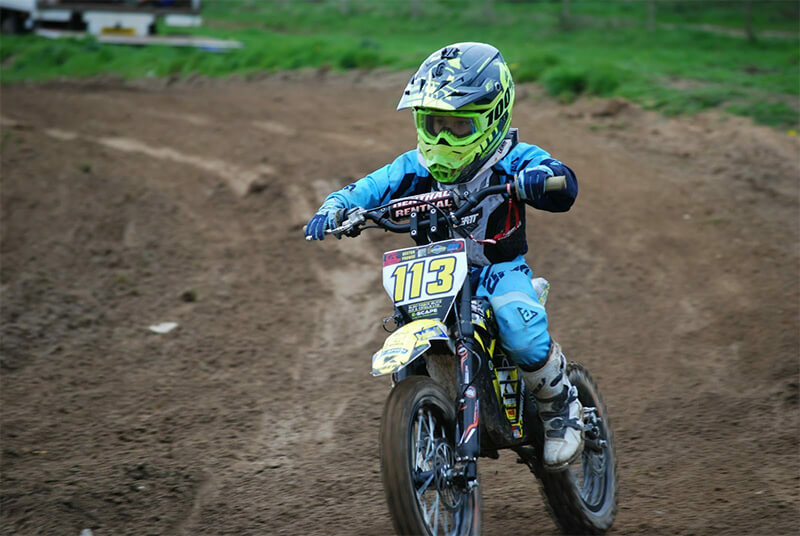 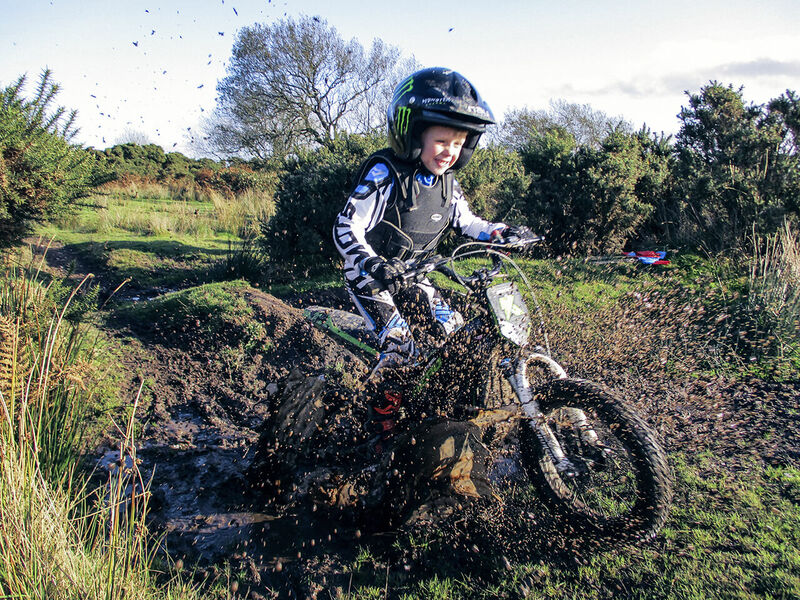 Leon has exceeded all expectations after being part of the Elec-trick Blitz Motocross coaching scheme. 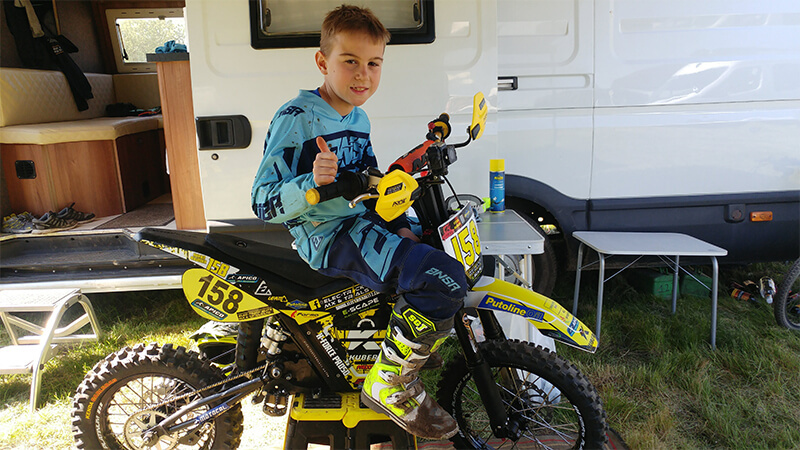 In September 2017, Leon competed in his first ever motocross race on the Kuberg X-Force Pro50 and cracked the Top Ten with his 10th place finish. 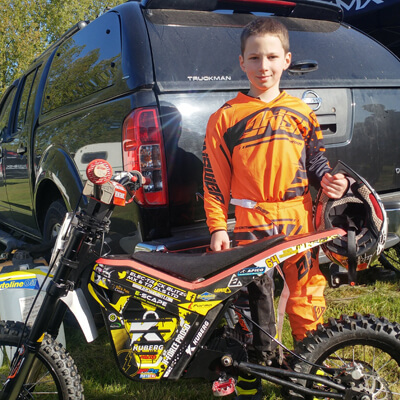 With a stacked calendar in 2018, Leon will be competing in select regional motocross races alongside his main focus in the trials competitions. 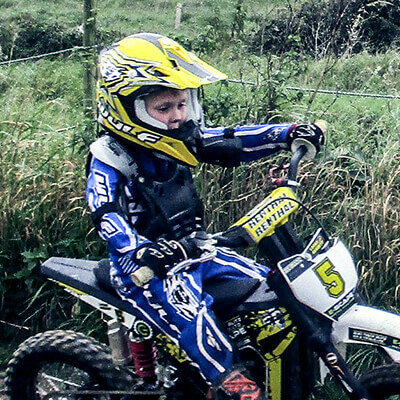 Kieran started riding very early in life. 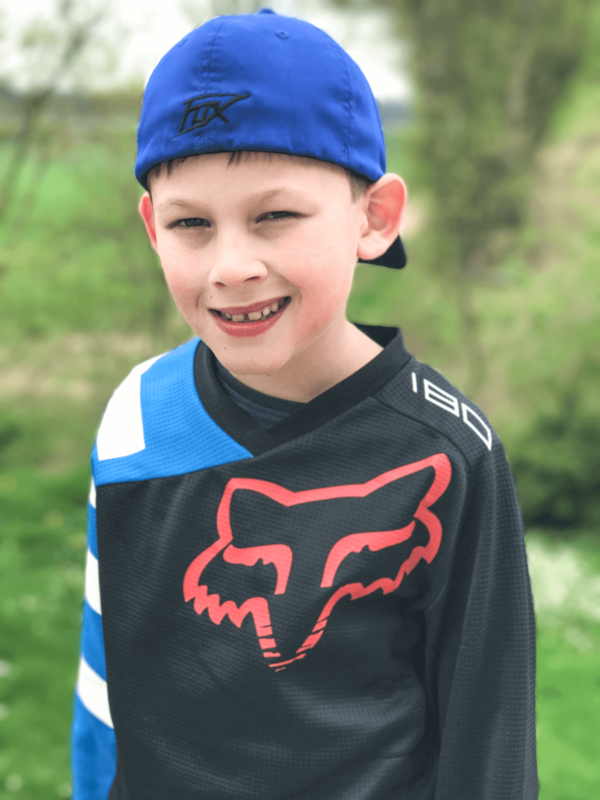 He had his own YCF-50 by the age of 4. 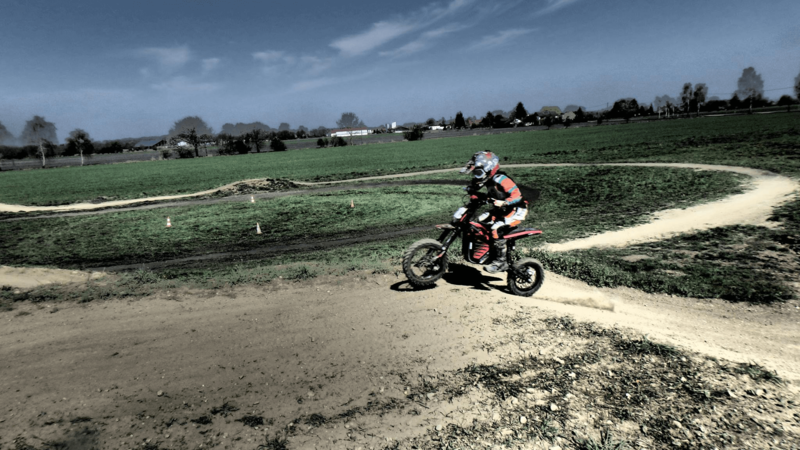 After practising for a couple of years, a friend encouraged him to start racing Enduros. 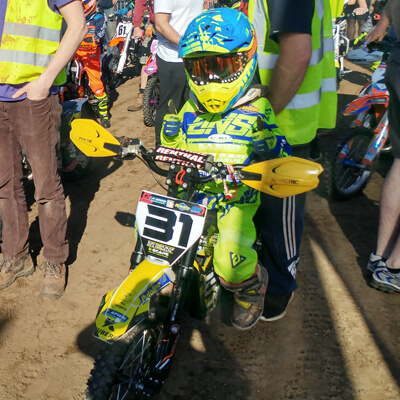 In April of 2016, Kieran participated in his first race at the age of 6. 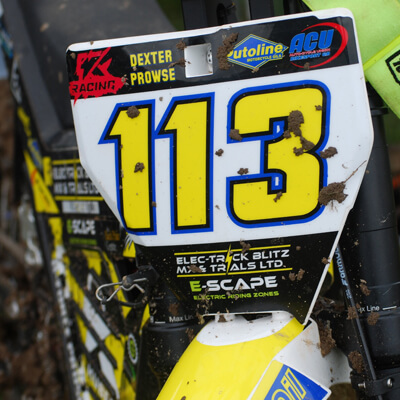 He reached the second round of the Enduroland Race XC Series, finishing 5th overall. 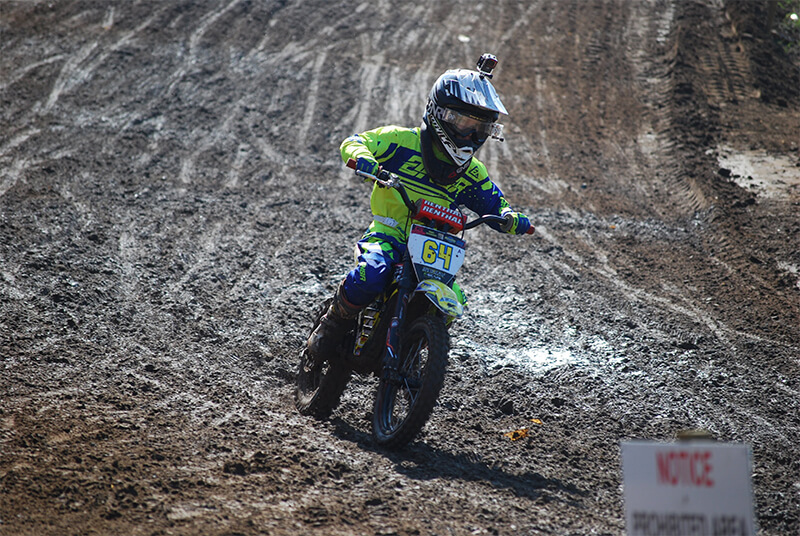 In his first season, he scored a 3rd place victory and finished 5th overall in the Auto Class. 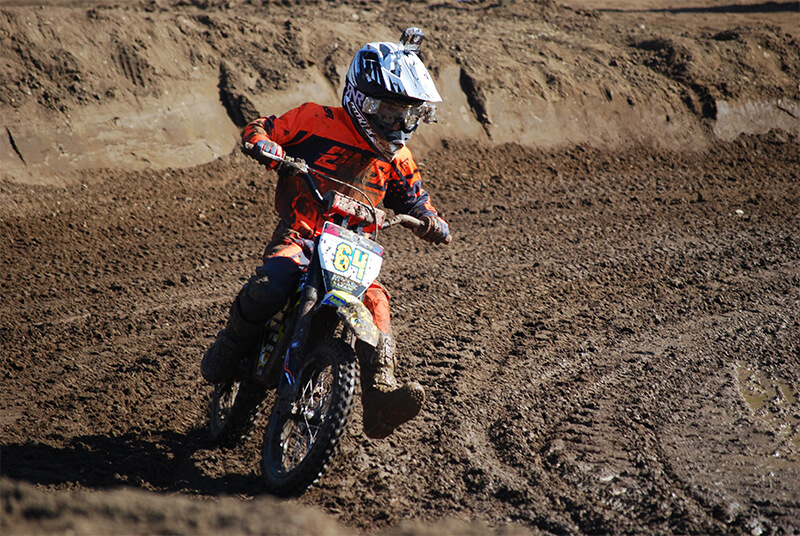 In the 2017 Enduroland Championship, he went one better by finishing 4th overall in the Championship, plus a career best 2nd place finish during the fourth round. 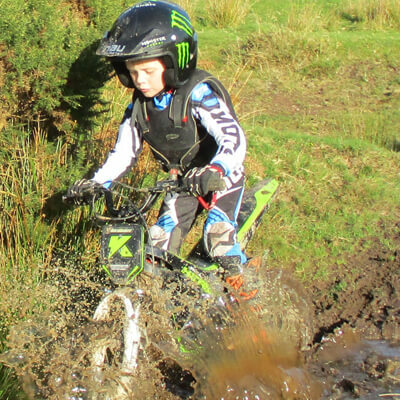 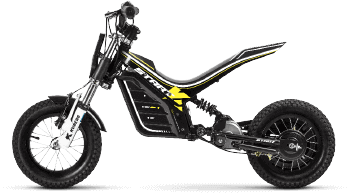 Kieran is looking forward to 2018, where he will be the first ever youth rider to compete in Enduro and Enduro Cross Events on the Kuberg X-Force PRO 50. 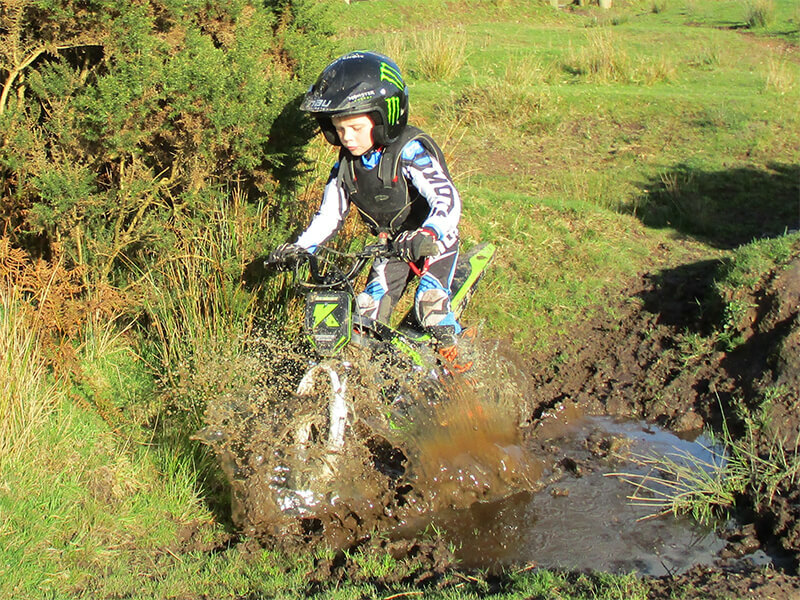 Kieran plans on putting his Kuberg on the top step of the podium during the Putoline Enduroland XC Youth Auto Championship. 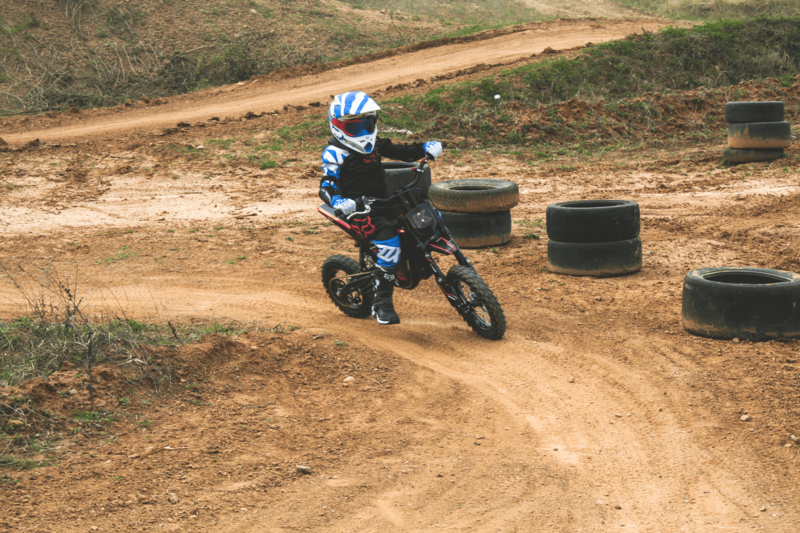 Samuel Greene has been crazy about bikes ever since he was a baby. 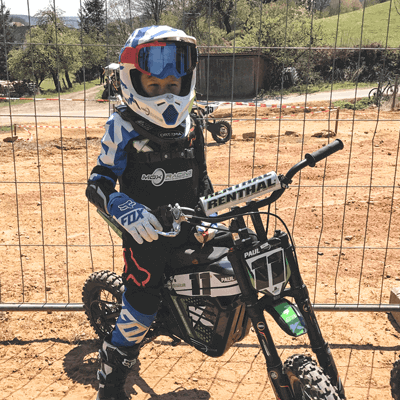 He got his first running bike at just 1 ½ years old and his first electric bike before the age of 3. 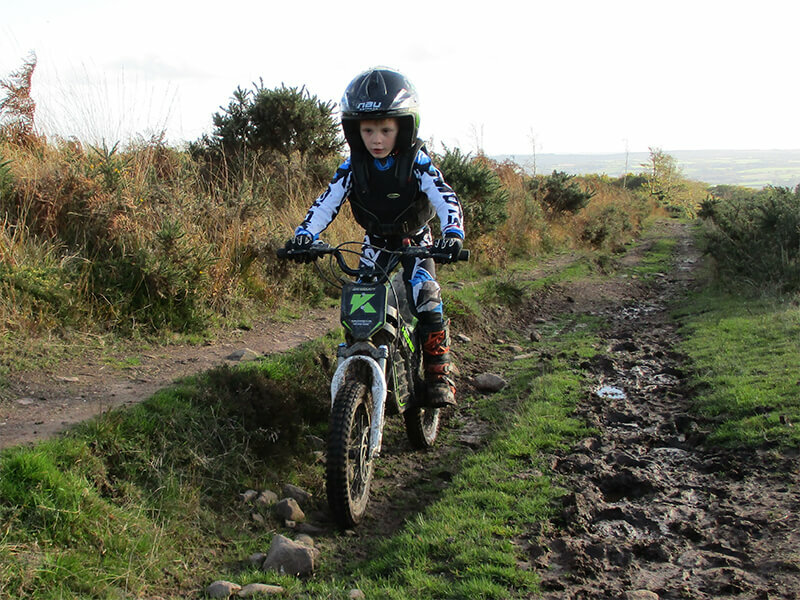 At the age of 4, he got his first Kuberg E-Trail bike. 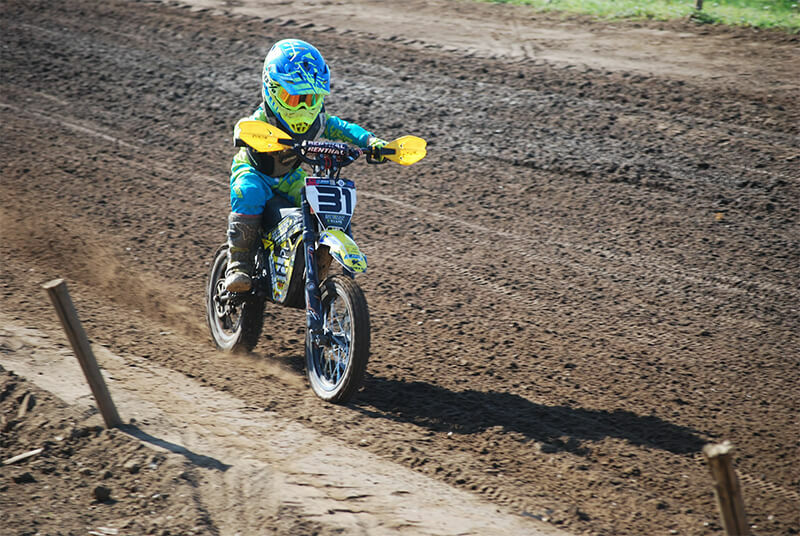 He loves to ride together with his mother and father. 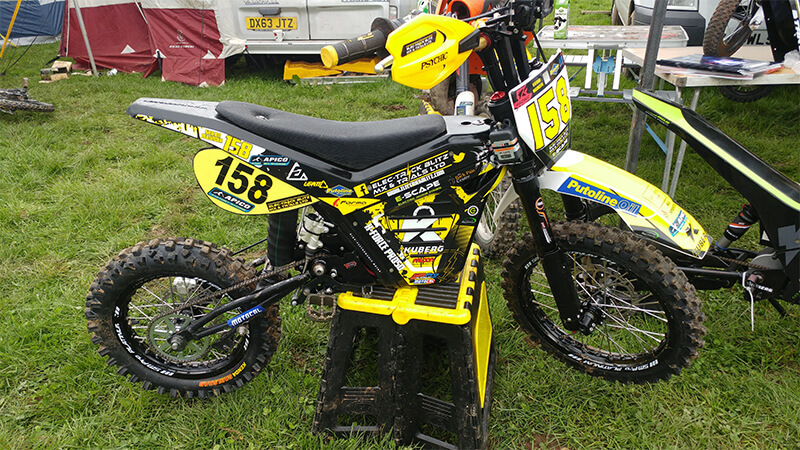 Samuel is currently racing on X-Force Pro 50 and is looking forward to scoring some victories in this year’s Junior Enduro Cup. 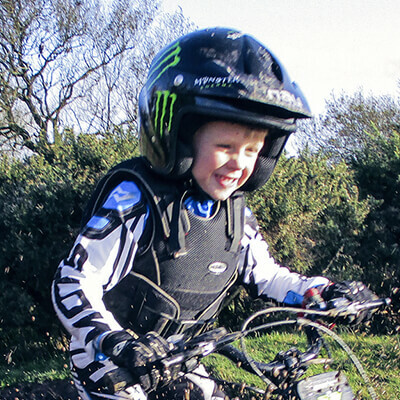 Dexter Prowse first started riding an MX bike at the age of 3. 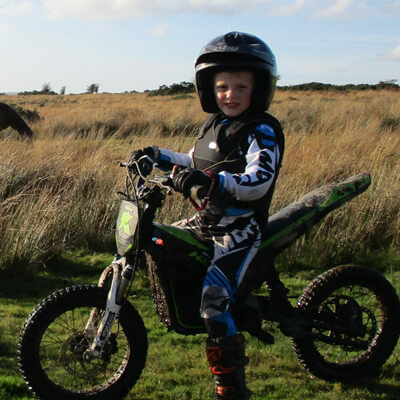 Dexter was granted an early MCF license at age 5 by submitting video footage of his riding skills to the federation. 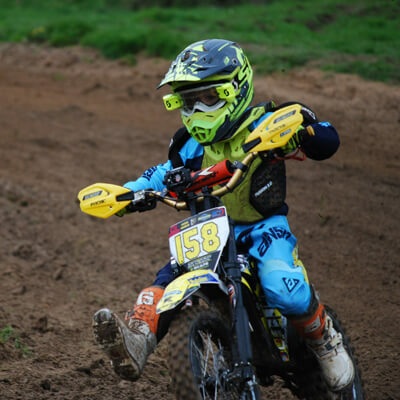 His first race was at the Wiltshire Cusses Gorse MX where he finished all three races while barely able to touch the ground. 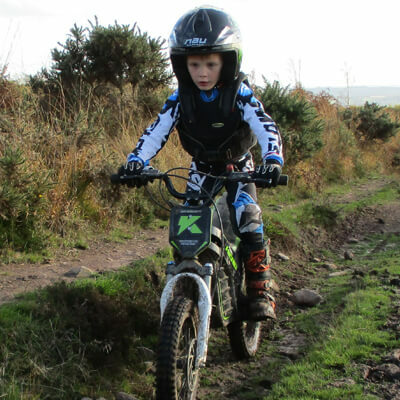 Not liking the weight and noise of his first gas bike, he traded it for an electric Kuberg bike and hasn’t looked back ever since. 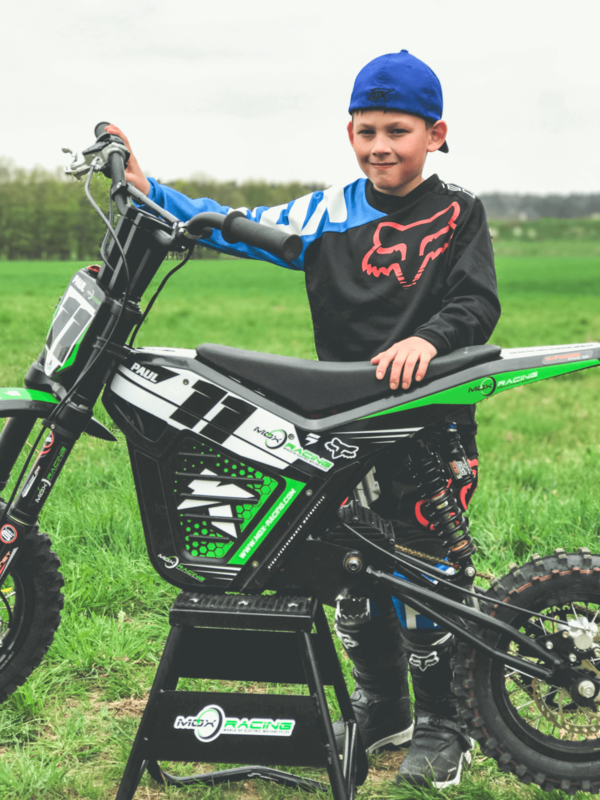 After seeing Dexter test the X-Force Pro 50, his father stated, "I was blown away with the bikes and just how much torque they produce. 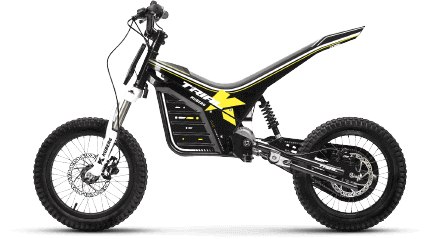 The X-Force Pro50 is something else and I’m looking forward to see Dexter develop with the team in 2018." 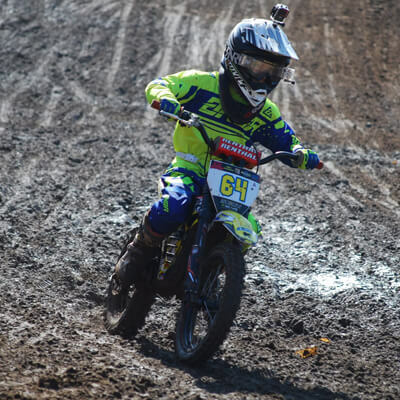 Dexter plans to continue to compete on his Kuberg for all rounds of the Portsmouth & Ringwood Youth Auto Motocross Championship in 2018, as well as other selected national rounds. 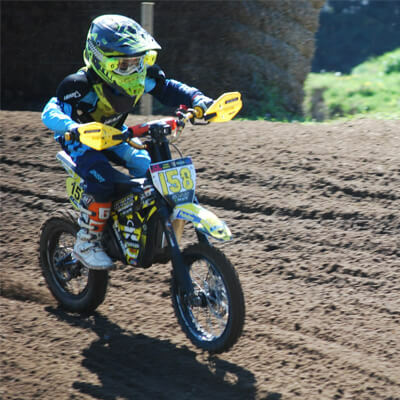 Harry Gay started riding a motocross bike at the age of 2 and has never looked back. 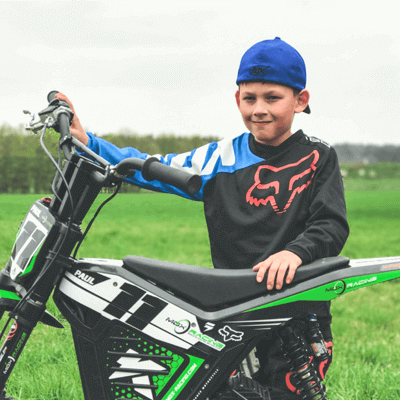 By the time he was 3, he was riding around on his own without assistance from his parents. 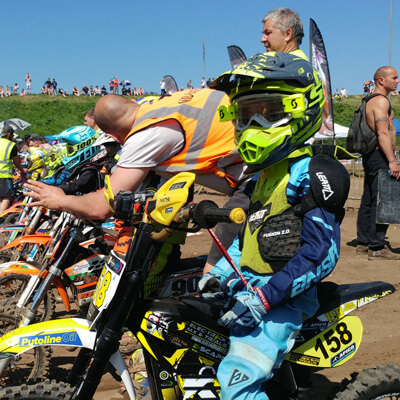 He was granted an MCF license earlier than most when he was just 5 1/2 years old after an MCF assessment with Ringwood MXC. 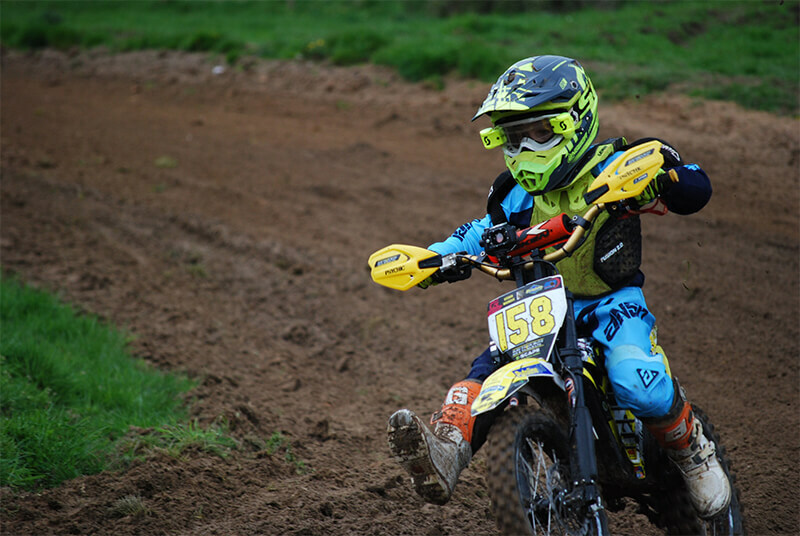 Harry became a full member at Ringwood and continued to improve with each race. 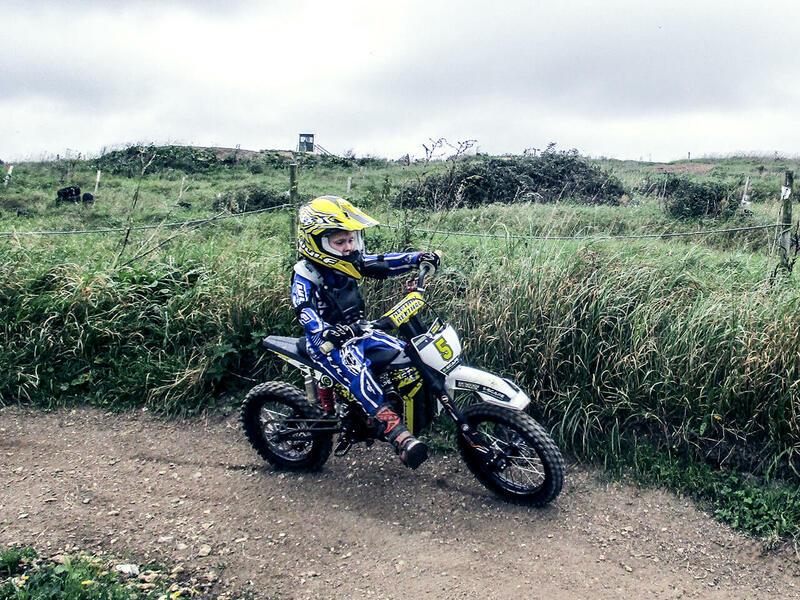 After his first season he was awarded “Auto Rider of the Year” by the club. 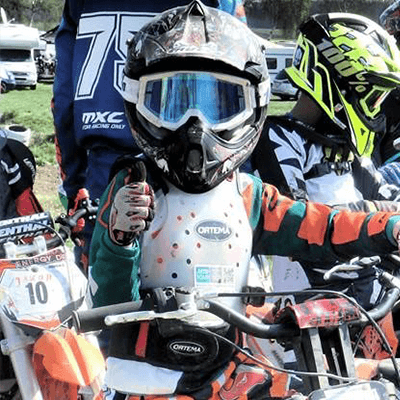 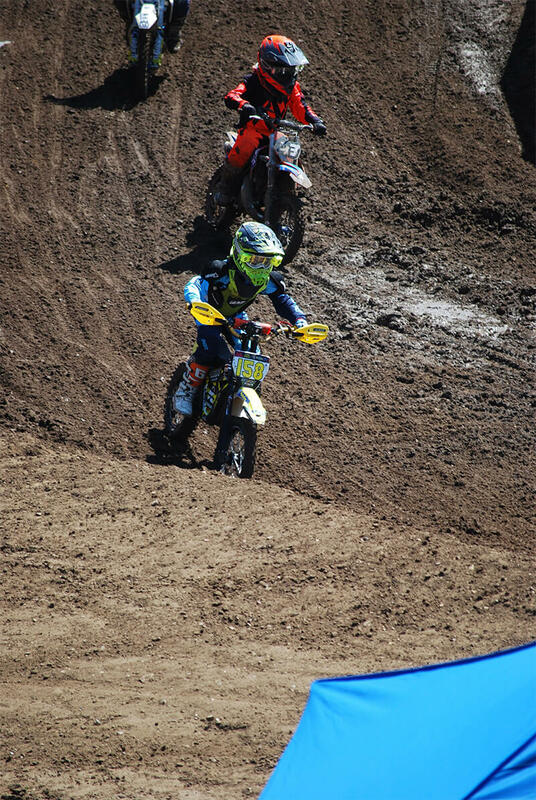 In 2018, he attended the Elec-Trick Blitz MX Coaching School and his development was so impressive that he earned a spot on the Kuberg Racing Team. 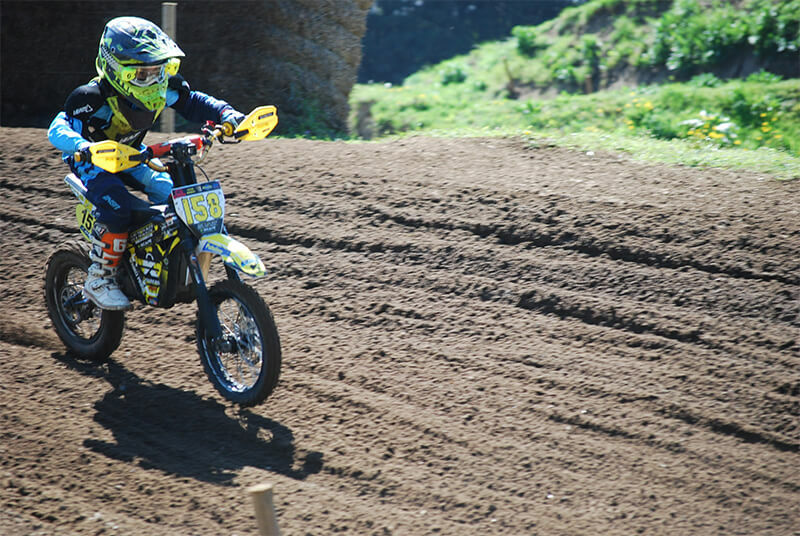 Harry too to riding the X-Force Pro 50 like a duck to water and has continued to make strides on every consequent race. 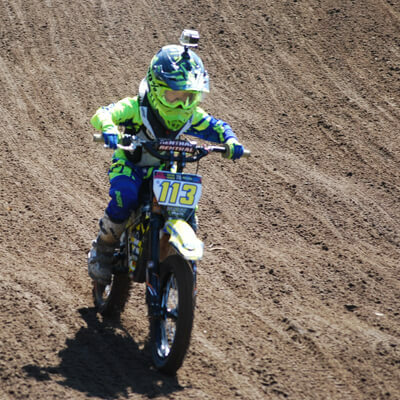 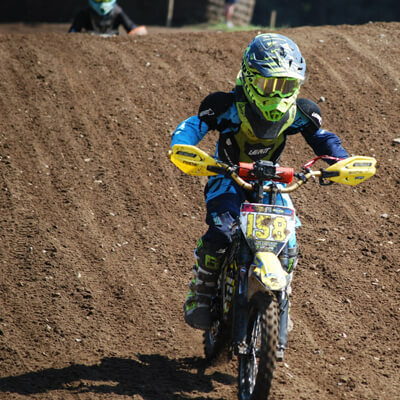 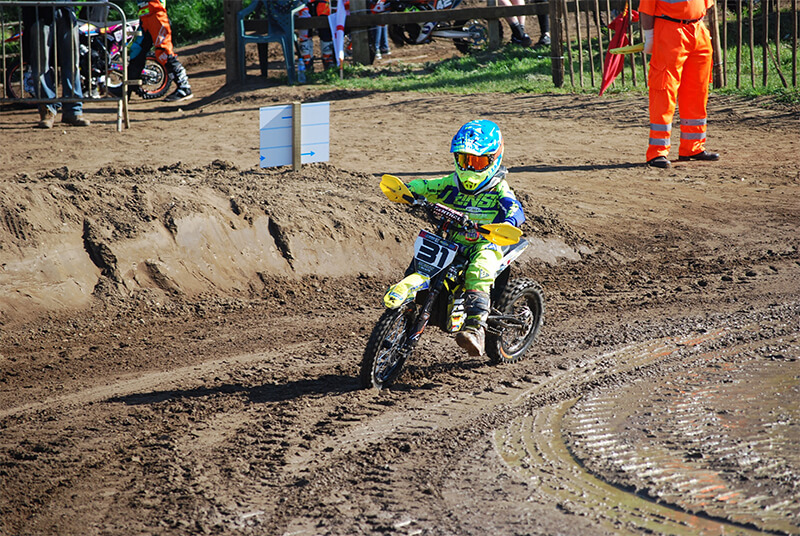 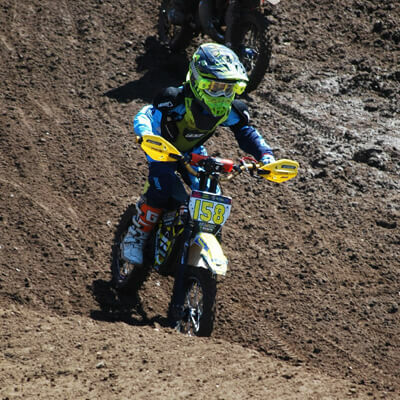 He holds numerous top 6 finishes, including 2nd place at the MX Masters Kids. 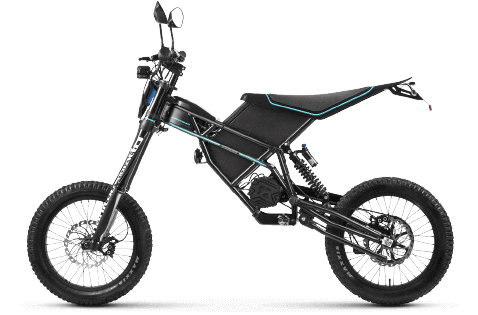 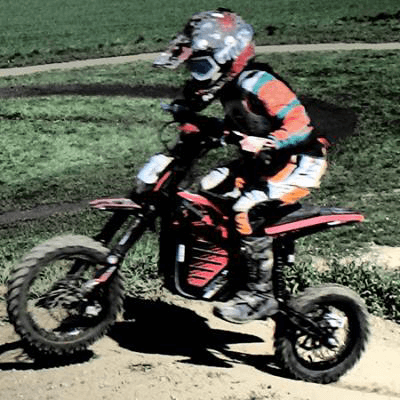 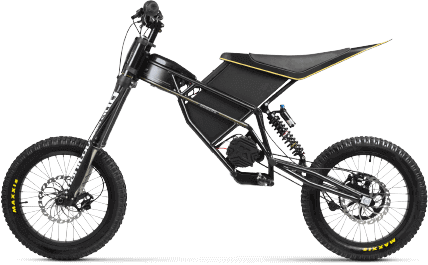 Daniel Rosborough first started riding at the age of 6 after visiting E-Scape (the UK’s first electric off-road riding center). 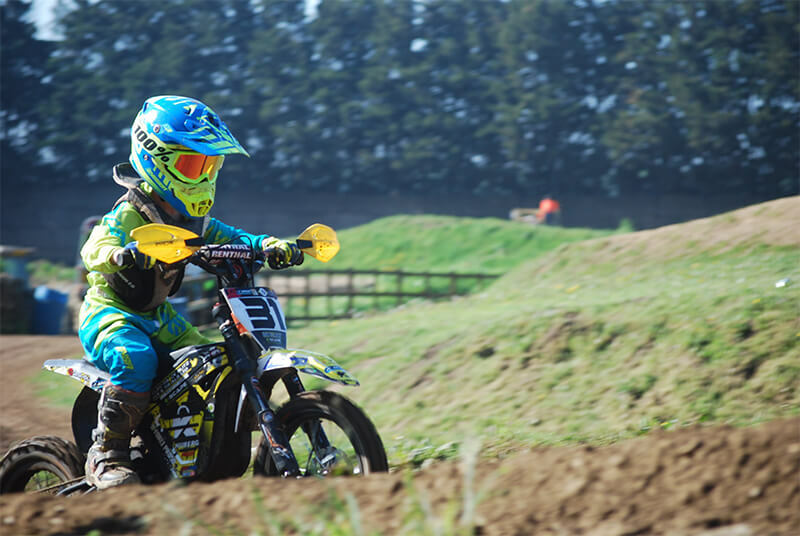 He became a regular at the center while riding on a Kuberg Cross. 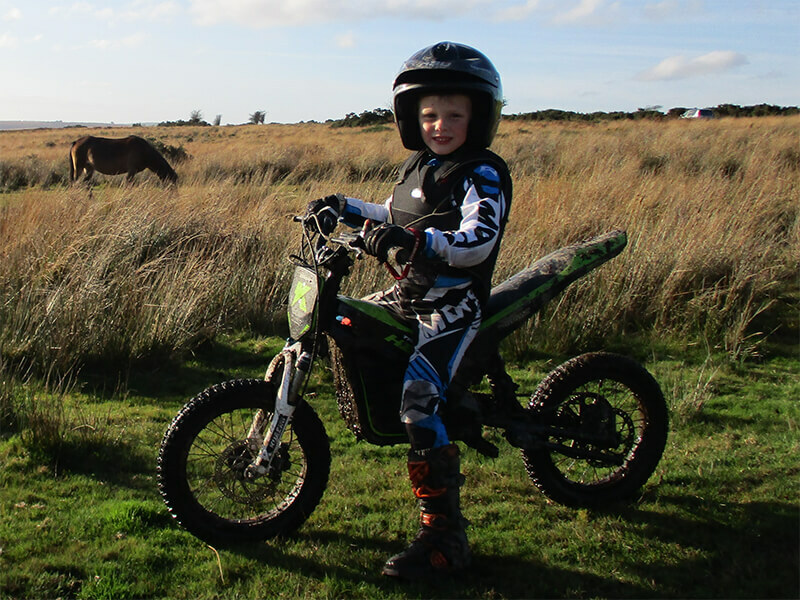 He gained experience and training from the ACU instructors who saw him quickly progress in his riding ability. 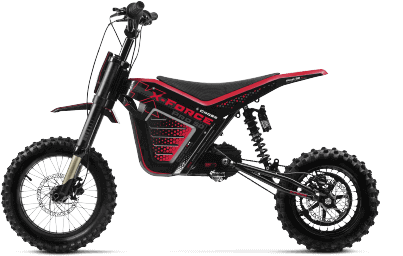 He soon moved up to the X-Force Pro 50. 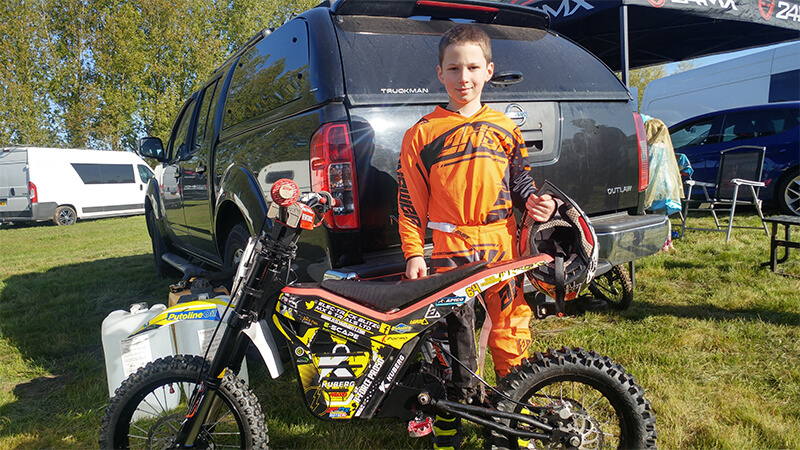 Daniel soon moved up to the X-Force Pro 50. 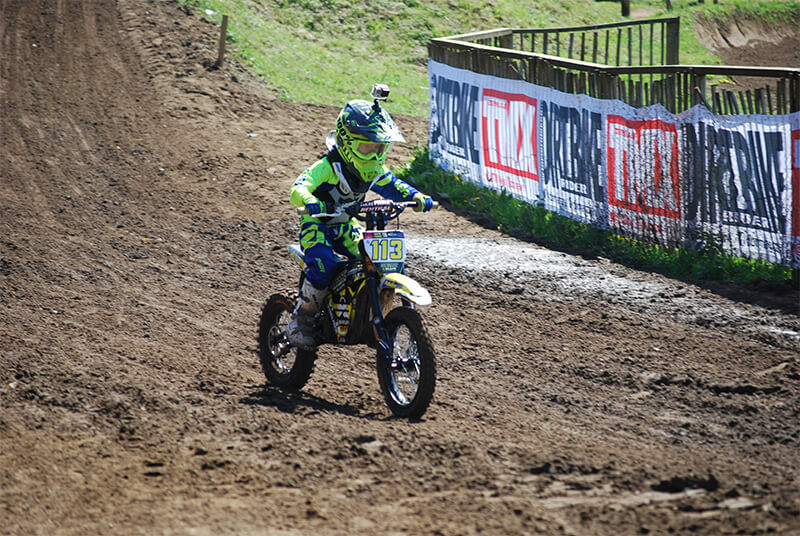 Although planning to ride just for fun, he was encouraged to take his X-Force to a local MX charity race. 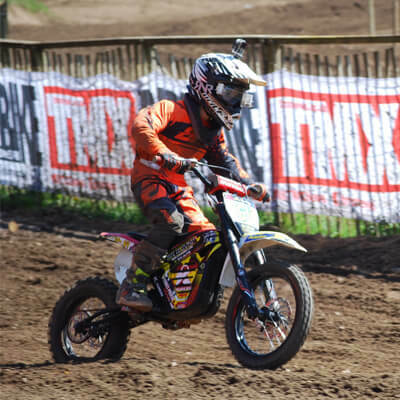 There, he lined up in the Auto Class beside the petrol 50cc bikes and immediately caught the racing bug. 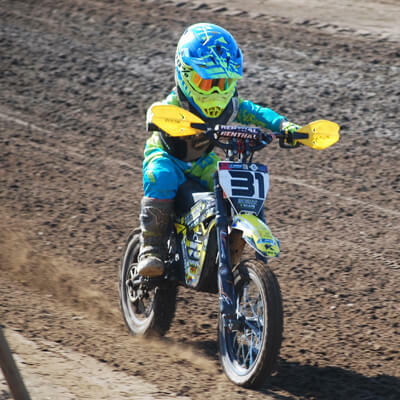 Daniel was a racing natural and his rapid fire speed quickly catapulted him to the front ranks. 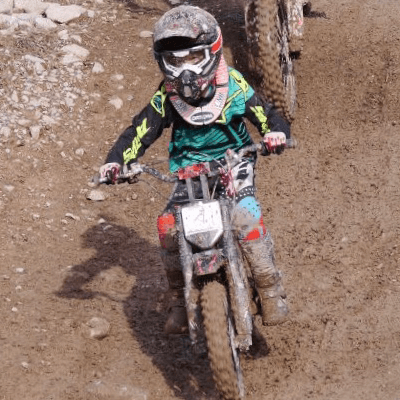 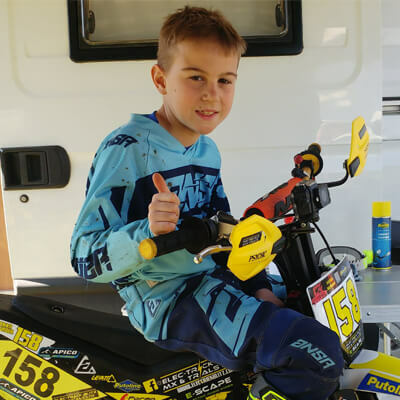 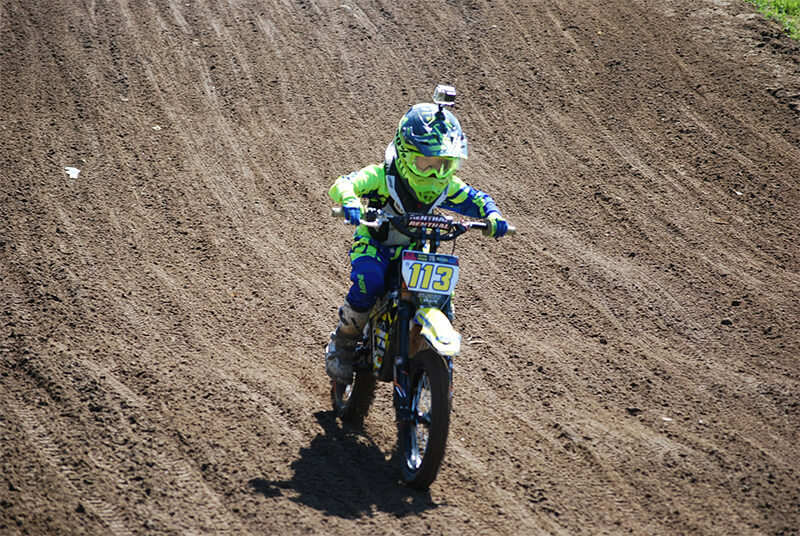 In his short time racing, he is currently 3rd overall in his class at the MX Masters Kids 2018. 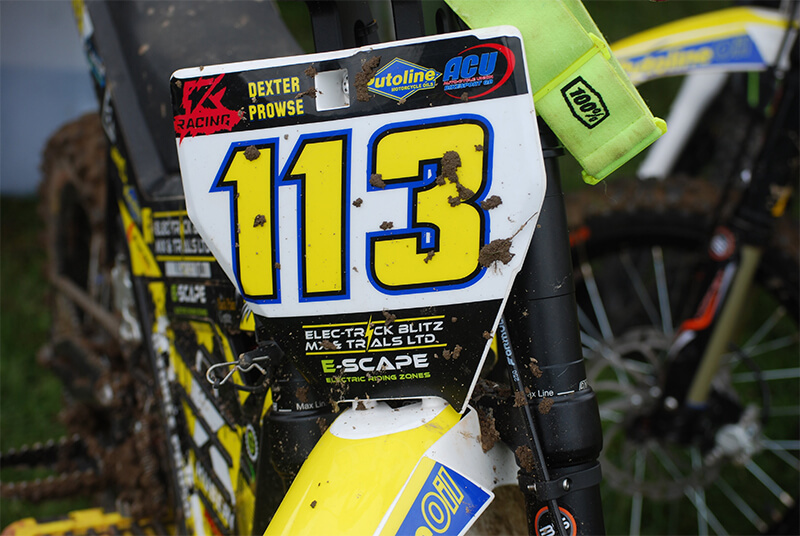 Daniel’s father praised E-Scape’s support, which made Daniel’s entry into racing much easier than expected. 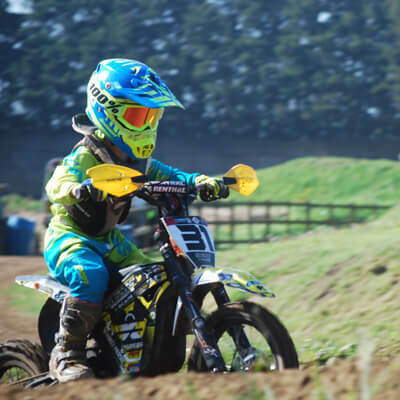 He now looks forward to the rest of the racing season where he plans to improve his skills and take home a victory for the Kuberg Racing Team.